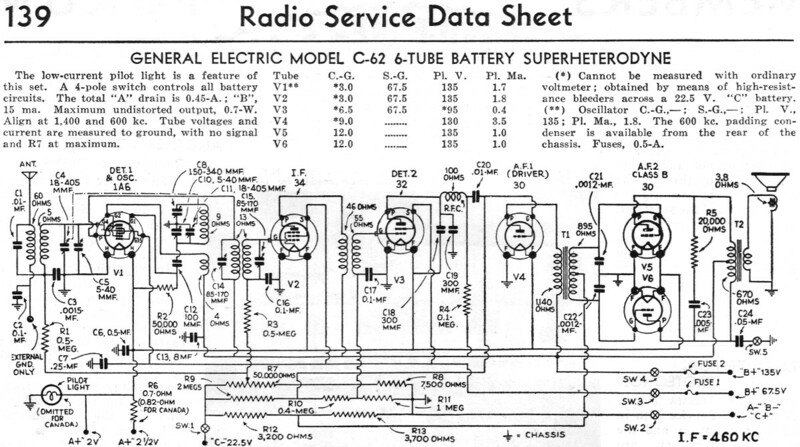 The General Electric C-62 radio was (is) a battery-operated tabletop model. 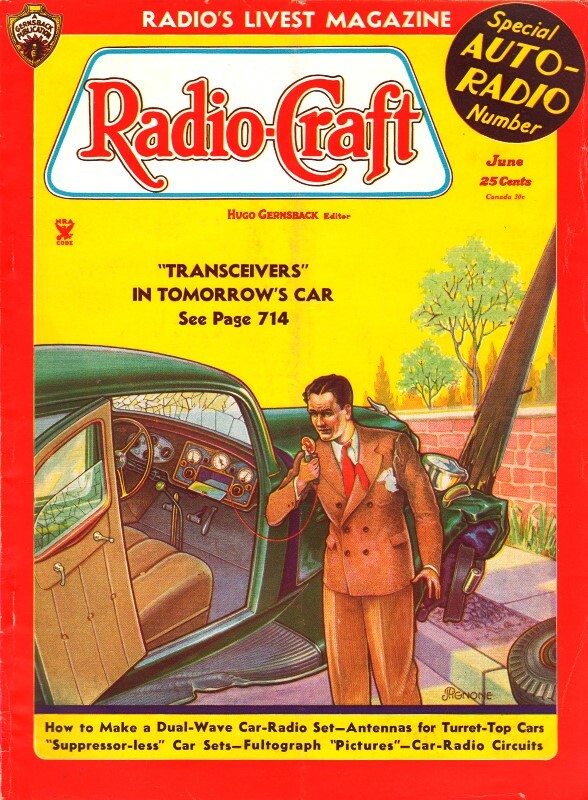 No photos of actual radios could be found online, but the thumbnail to the left of an advertisement appears on the RadioMuseum.org website. Two 67.5 V "B" batteries provided power. 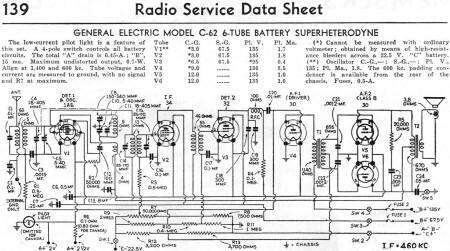 You would be forgiven for believing such batteries are no longer available today since nowadays the most familiar types are 1.2 V and 1.5 V "A," "C," and "D" cells, and the 9 V "transistor radio" battery - which should be renamed the "smoke detector battery" since few pocket-type transistor radios remain. Less prominent in the retail venue but ubiquitous in electronics and power tools are the Nx3.7 V Li-Po batteries. If you want to get a good idea of the vast selection of battery shapes and voltages available, visit a website like Battery Central Mall. BTW, if you buy batteries online, please do so via this Amazon.com link so that I earn a commission (does not affect your price). The low-current pilot light is a feature of this set. A 4-pole switch controls all battery circuits. The total "A" drain is 0.45-A. ; "B", 15 ma. Maximum undistorted output, 0.7-W. Align at 1,400 and 600 kc. Tube voltages and current are measured to ground, with no signal and R7 at maximum. (*) Cannot be measured with ordinary voltmeter; obtained by means of high-resist­ance bleeders across a 22.5 V. "C" battery. (**) Oscillator C.-G.,-; S.-G.; Pl. V., 135; Pl. Ma., 1.8. The 600 kc. padding condenser is available from the rear of the chassis. Fuses, 0.5-A.